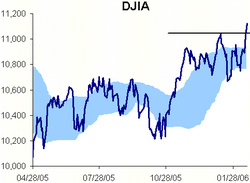 and the Nasdaq is trying to break its downtrend. 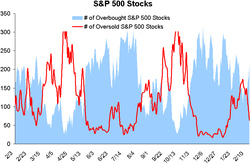 The number of oversold stocks didn't outnumber the overbought stocks for long. 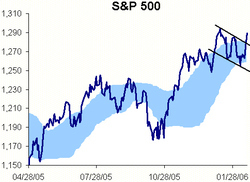 There are plenty more stocks that have been up 5 days in a row than have been down 5 days in a row. 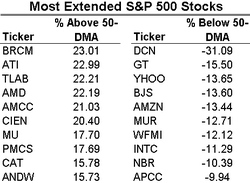 And finally, the most extended S&P 500 stocks from their 50-day moving averages. 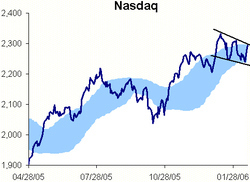 The Nasdaq chart may be the one worth paying the most attention to tomorrow morning to see if it can break its downtrend.